He was a principal dancer at Croatian National Theatre in Zagreb and Northern Ballet in Manchester, England. He was the first soloist of The State Opera and Ballet "T. Schevchenko" in Kiev and guest soloist at The Bolshoi Theatre in Moscow, as well as Mariinsky Theatre in St. Petersburg. He was a member of international touring company "International Ballet Stars Berlin" with whom he performed on stages all over Europe and worldwide. He danced all the leading roles of classical repertoire. 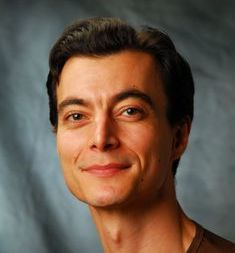 Currently he is the artistic director and ballet teacher at IMC. He is frequently invited to give masterclasses in theatres and ballet schools all over Europe. Immediately upon graduating from Zagreb ballet school Edina joined Ballet of the Croatian National Theater. In 2000. she is promoted to a soloist, and in 2003. becomes a principal ballerina of the same company. Troughout her career she has worked with many well known choreographers Ted Brandsen, Martino Muller, Hans van Mannen, Nacho Duato, Vasco Welencamp, Renato Zanella, Derek Dean, Dinko Bogdanic, Milko Sparemblek, Kristof Pastor, Edward Clug, Hugo Viera, Leo Mujić as well as danced with some great partners: Roberto Bolle in Swan Lake , Mathieu Ganio and Ronald Savkovic in Nutcracker, Friedemann Vogel and Mihail Kamskin in the The Sleeping Beauty, Giselle, Eris Nezha in Cinderella, Swan Lake and Sleeping Beauty, Raphael Coumes-Marquet in The Lady of the Camellias. Odetle/Odile/, Swan Lake by Dinko Bogdanic, 2003 and Derek Deane 2007. Sugar Plum Fairy, Nutcracker by Watslav Orlikovski, 2005 and Derek Deane 2011. Pavla finished school for classical ballet in zagreb and Academy for classical ballet in Munich in Mr Prokofiev's class. After finishing school she danced in Bayerische Staatsballet München and from 2004. she is in Croatian national theatre in zagreb as a principal dancer. Pavla danced all the major roles of classical repertoire and worked with choreographers such as Mats Ek, John Neumeier, john cranko,, kenneth MacMillan, William Forsythe and Jacopo Godani. Member of ballet ensamble since 1982. and since 2003. ballet assistant at Slovenian National Theater in Ljubljana. This multi talented artist finished school for Design and Photography as well as Music school parallel to Ballet school. 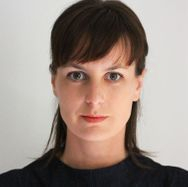 Claudia`s rich CV includes work as ballet producer, coordinator, ballet teacher, assistant director at Youth Slovenian ballet and assistant at DBUS. For her choreographic pieces she was awarded 1st prize in Norway and 2nd prize in Piran. and was trained there in Ana Maletić dance school. In 1991 she graduate on Vlaamse Dansacademie in Belgium before joining Ballet Dresden where shortly was promoted to soloist.In 1998 she joined Thoss TanzKompanie in Kiel and two years later in Hannover.In 2006 she worked with Lyon Ballet and 2008 with Aterballetto in Reggio Emillia.She has worked, created and performed pieces by choreographers such as:Stephan Thoss, John Neumeier, Mats Ek, Uwe Scholz, Mauro Bigonzetti, Ohad Naharin, Walter Matteini , Francesco Nappa, Marco Goecke. 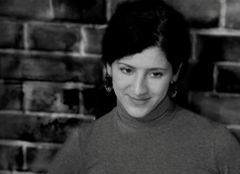 She was awarded for several prices: Mary Wigman Prize 1997 in Germany, Croatian Theater Prize for female dancer 2008, 2010 Austin Critics Table Award as outstanding dancer in Austin ,Award as outstanding dancer 2010 in Copenhagen, Production Prize of 27th Contemporary Dance Festival Zagreb 2010, Profession Preis UPUH 2010 in Croatia. Since the summer 2008 she started of her international carrier as a freelance artist by dancing, choreographing and working as a dance pedagog in ZKM Teater, Zagreb. Maša has been setting three ballets from Stephan Thoss for Queensland Ballet in Brisbane and has also set Thoss’s Swan Lake for Aalto Ballett in Essen. She is frequently invited to give modern and choreographic workshops in Danshogskolan University College of Dance in Stockholm and in Interlochen Arts Academy High School Dance Major as well as in Australia, Croatia, Germany, Serbia, USA. since 2017. maša is Ballet director in Croatian national theatre "ivan pl. zajc" in Rijeka. Sven started his career in classical ballet rather late at the age of 17, but just two years later he got scholarship for Hochschule für Musik und Theater München . 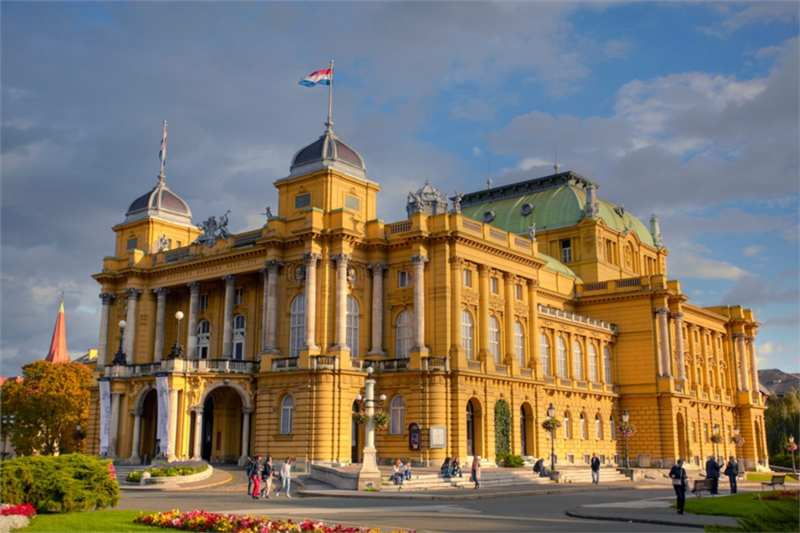 Soon after graduating he got the contract with the Croatian National Theater in Zagreb. At Zagreb Dance Center Copony teaches a combination of Franklin method, human Kinetics, Feldenkreis method and classical ballet. His choreographies can often be seen at the ballet competitions. Sven currently teaches at The School for Classical Ballet and Contemporary dance. His contemporary pieces can be seen worldwide at ballet competitions. 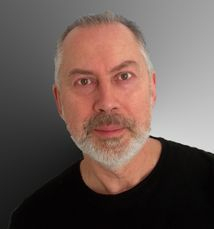 Petrović is a ballet accompanist with The Academy of Dramatic Arts in Zagreb and accompanist and piano teacher with the School for Classical Ballet also in Zagreb. Petrović finished Music Academy in Zagreb and studied church music at the Institute for Church Music "Albe Vidaković". In 1996 he won first prize at the national piano competition held in Zagreb. Petrović played in all the major concert halls in Croatia. I am happy that you landed on this page. That means that you probably can`t live without ballet, just like me.